Alex Garcia came to the United States from Honduras in 2004 seeking a better life and settled in Poplar Bluffs, MO where he has been since. He marred Carly Zuniga in 2010 and they have 5 children together ages 3-11. He worked at a Mexican restaurant for seven years and then transferred to construction work. Everyone who knows him says that he is an extremely hard worker who always has a smile on his face. He is a valued member of the community and an attentive husband and father. In 2015, Alex accompanied his sister to an appointment at a U.S. Immigrant and Customs Enforcement office in Kansas City. There, he was questioned and detained for a couple weeks before the MICA project successfully applied for a stay of removal, which lasts a year, and another the following year. 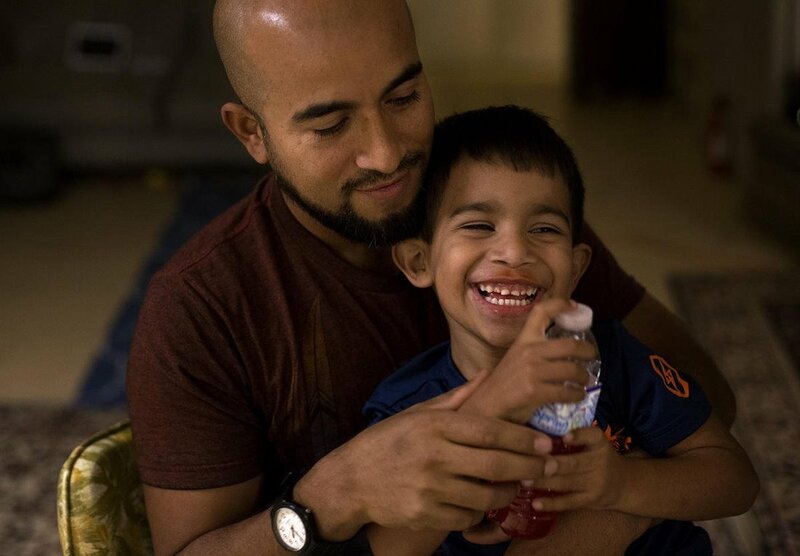 However, the most recent application was denied and he was told he was going to be deported. ​re-entry. He has now been there for over eight months and his community, as well as many others, are rallying around him to try to change his current status. Follow his journey and support today!